May 10. 2011 | By Valerie C.
With the release of Other Lives second LP, the band should find that they’re now at that precipice that catapults a band from a great opening act to a formidable headliner. 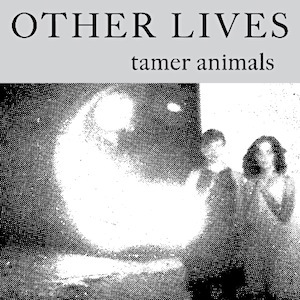 Tamer Animals, with elements of progressive folk, classical, and creative beauty is a quiet storm of an album. A “game changer” for this Oklahoma-based band. From beginning to end, this record tugged at my heartstrings and seeped into my conscious and subconscious mind and I was its wiling captive. “Dark Horse” with its expansive atmospheric sound ensnared my attention and as Jesse Tabish’s vocals come in, I knew I was listening to something special. “Tamer Animals” from the first tickling of ivories to the chorus buildup, had me confused and bemused because I didn’t know how a song so melodically melancholy could make me want to dance so much. From beginning to end of Tamer Animals, Other Lives bids us to take a musical journey with them, the kind where there are plenty of stops along the way. And each stop adds a different flavor to the overall journey as a whole. From their humble beginnings as Kunek (The bands’ first instrumental leaning incarnation) and the birth of Other Lives, their ever evolving sound and “voice” just gets better. Attention other bands/artists: In a perfect music world, this is how bands/artists should be. Growing and evolving. Much like a painting, where each brush stroke is a continuum in the overall creation of a masterpiece. Such as each album should add substance to the body of work. Other Lives does masterfully, with a beautiful quiet grace.